I think you won vs MGK, SIKE! And they said that the "Vader vs. Hitler" trilogy was good, whew! 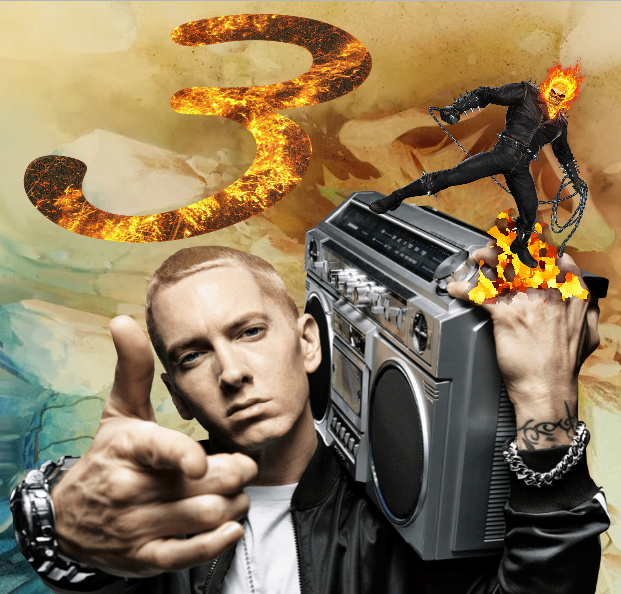 This battle is beautiful, and serves as a great finisher for the "Eminem vs. Ghost Rider" trilogy. Can't wait to see what other wonders you have up your sleeve, Janet – keep up the great work!